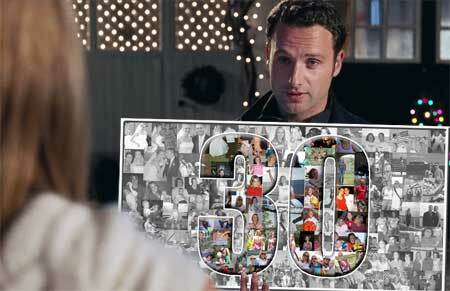 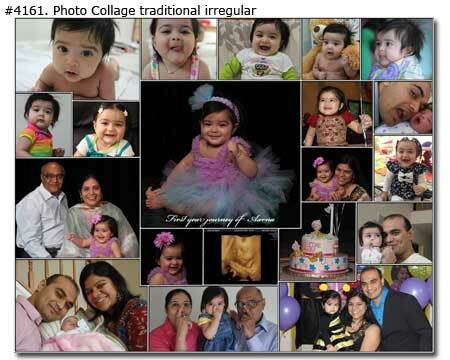 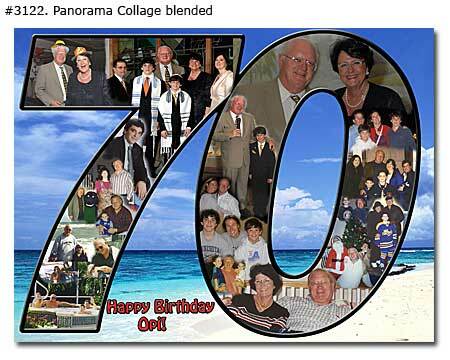 Creating birthday collages to celebrate your loved ones from 1 - 100 years live - turn your memorable photos into birth day photomontage. 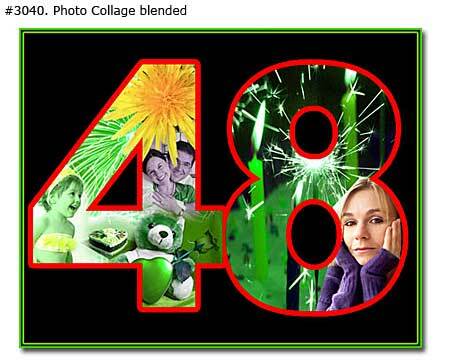 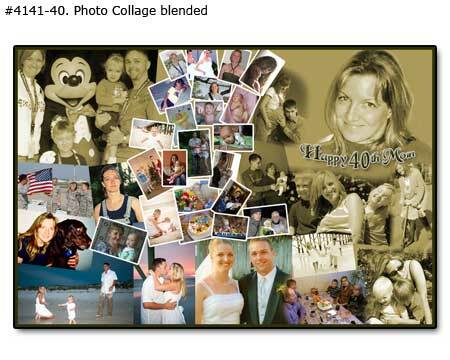 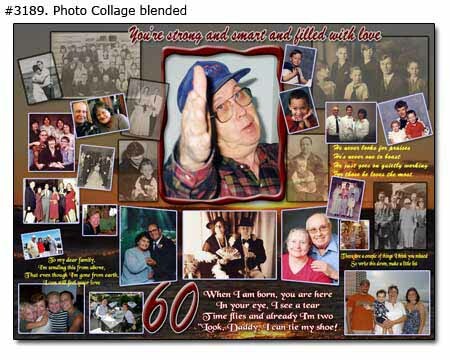 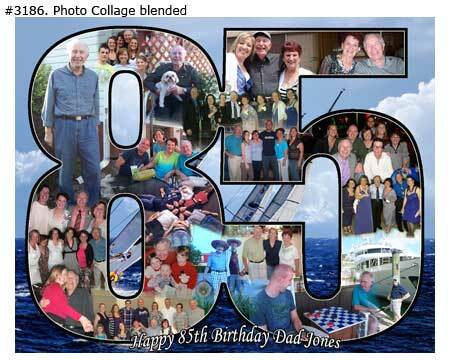 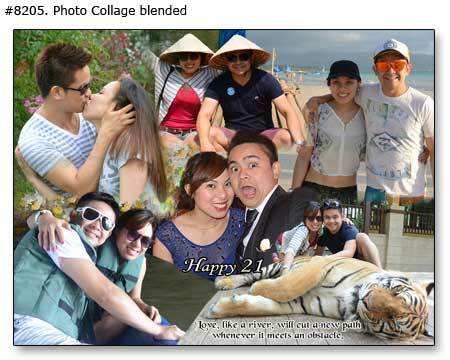 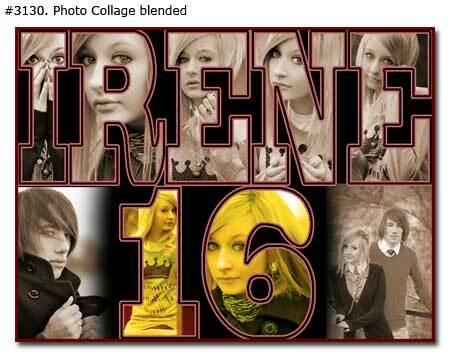 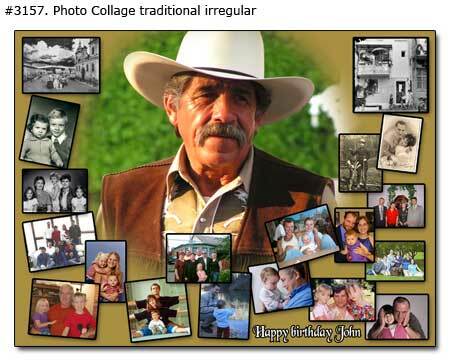 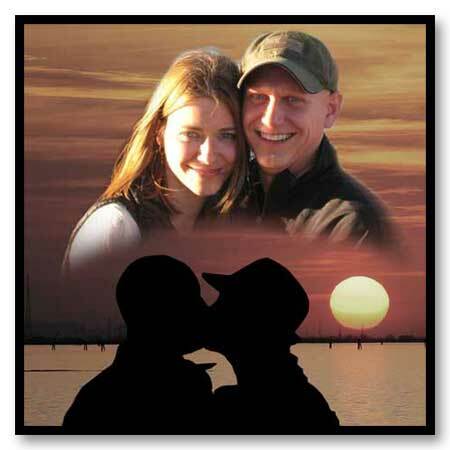 Photoartomation studio artists offer online custom birthday photo collages from family and best friends memorable photos taken during your relationship. 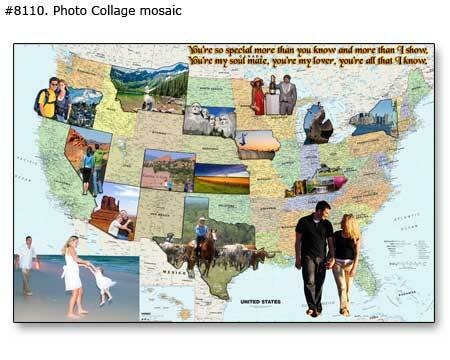 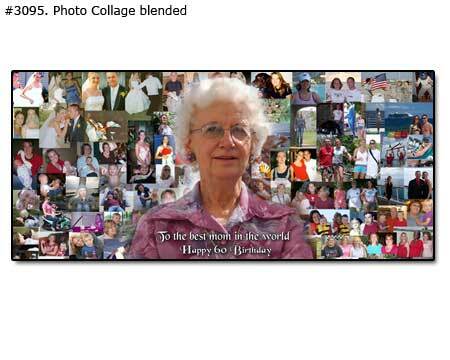 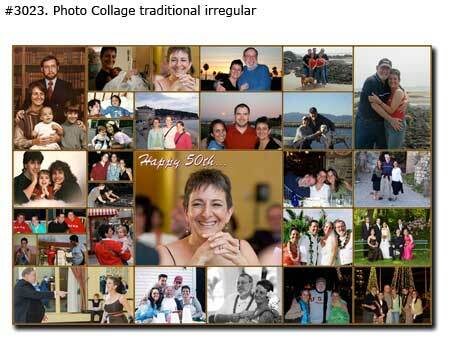 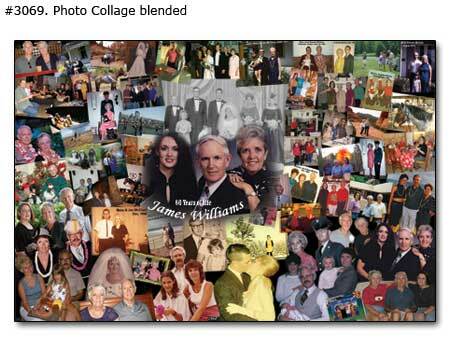 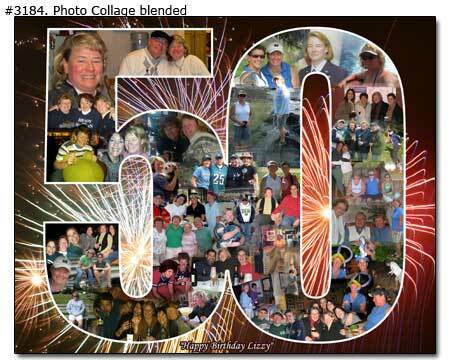 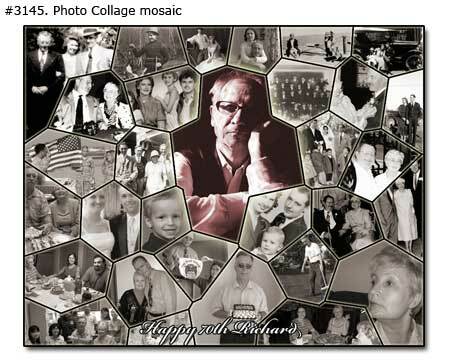 Blended and mosaic collage birthday arrangement becomes a keepsake with 10-30 pictures with 1 or 2 main images in center, 9 or 28 small blend photographs above and beneath them. 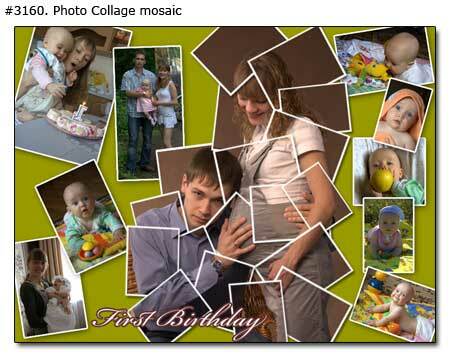 If you wish, we can add text and wishes words. 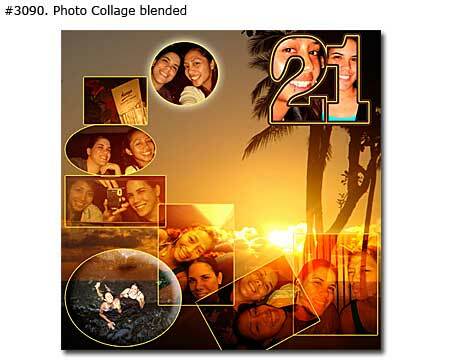 Traditional classic and irregular artistic composition looks great with up to 100 photos on one piece poster or canvas prints. 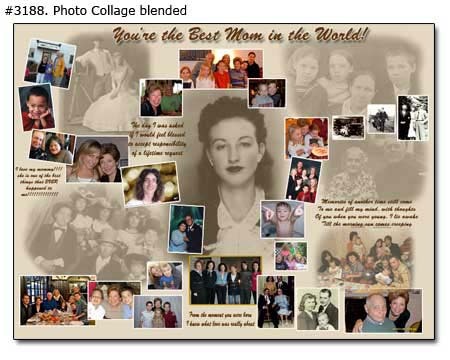 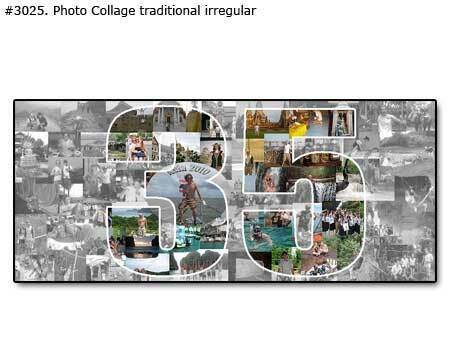 Since all the birthday photomontage design is customizable for your specification needs, custom size framed poster and large selection media print you can use personalized collage for wall decoration in any room. 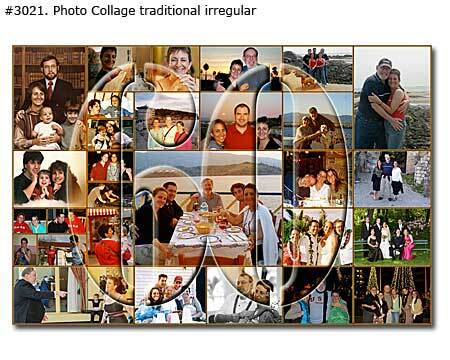 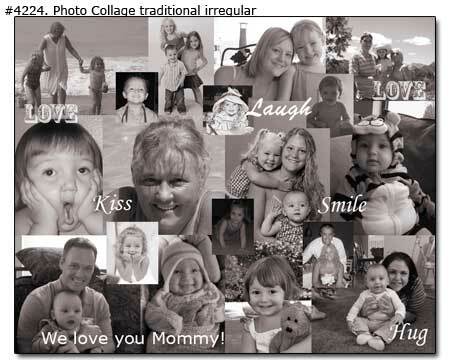 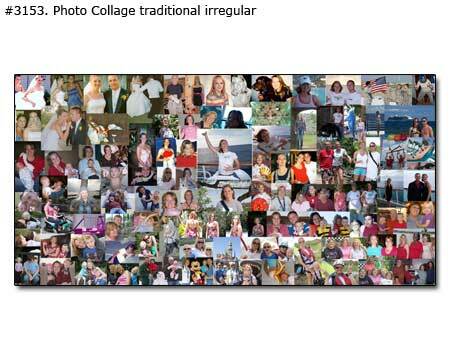 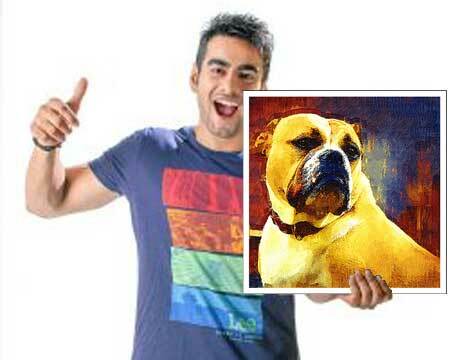 You will be able to preview your collage for your review and request any changes you would like.